The message below was sent on 6/13 to all instructors who have Canvas course spaces with 200 or more enrolled students. You are receiving this email because you are an instructor of a large class in Canvas. Due to limitations within Canvas, transferring final grades from Canvas to WebGrades takes longer for large classes. It may, for instance, take 15-20 minutes for a class with 500+ students. If you are using the option to transfer grades from Canvas to WebGrades, please allow that process to run uninterrupted and it should complete successfully. However, if you see a ‘page failed to load’ error message at any point, please let us know at eee-support@uci.edu and we will investigate and follow up with you as quickly as possible (we know that with the grades deadline approaching, any barriers here are a high priority). Given the known delay in this area, we advise you to start the grades transfer process as soon as is workable for you. EEE developers have explored our options for addressing this and determined that this process could be made more efficient if Instructure made changes to the Grades API options. Instructure is currently working on a new version of their Grades tool and we will be watching for improvements in this area. The message below was sent on 6/13 to all instructors and teaching assistants who have used the self-diagnostic Midterm Feedback Form via EEE Evaluations. If you did not receive this message and would like to receive future communication regarding the retirement of Midterm Feedback Forms in EEE Evaluations, you can join the Midterm Feedback Form users mailing list. This is an renouncement-only list; you will only receive messages from EEE staff, and we will use it sparingly. The Midterm Feedback Form in EEE Legacy Evaluations will be retired after Summer 2018. After Summer 2018, you will not be able to activate new midterm evaluations. You will still be able to access and retrieve past data. Final evaluations are -not- impacted at this time. For questions, email eee-support@uci.edu or call the OIT Help Desk at (949) 824-2222. To reiterate, self-diagnostic midterm feedback forms will no longer be available for activation after Summer 2018 and you should now begin to save copies of past results. The message below was sent between 6/13 and 6/18 to all SignupSheet owners, administrators, and results viewers. If you did not receive this message and would like to receive future communication regarding the retirement of EEE SignupSheet, you can join the SignupSheet users mailing list. This is an renouncement-only list; you will only receive messages from EEE staff, and we will use it sparingly. The EEE Legacy SignupSheet tool will be retired after Summer 2018. After Summer 2018, you will not be able to create new signup sheets. You will still be able to access and retrieve past data. 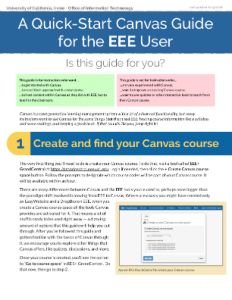 If you used EEE Legacy SignupSheet for something that was not directly affiliated with a class, consider Google Forms, part of the suite of Google Apps you have access to through UCI (Canvas is only available with classes).For help with Google Apps, visit Google documentation at https://support.google.com/?hl=en or contact the OIT Help Desk at (949) 824-2222 or oit@uci.edu. To reiterate, SignupSheet will no longer be available for new signup sheets after Summer 2018 and you should now begin to retrieve any past results you may need later.